The Class 4 'Standard Tanks' were introduced as part of the modernisation plans of BR in the early 1950's. They were designed to replace ageing tank engines on branch passenger & suburban duties. They could be seen in many parts of Wales including the line from Shrewsbury to Aberystwyth. They were designed under the supervision of R. A. Riddles & were built at Derby, Doncaster & Brighton. 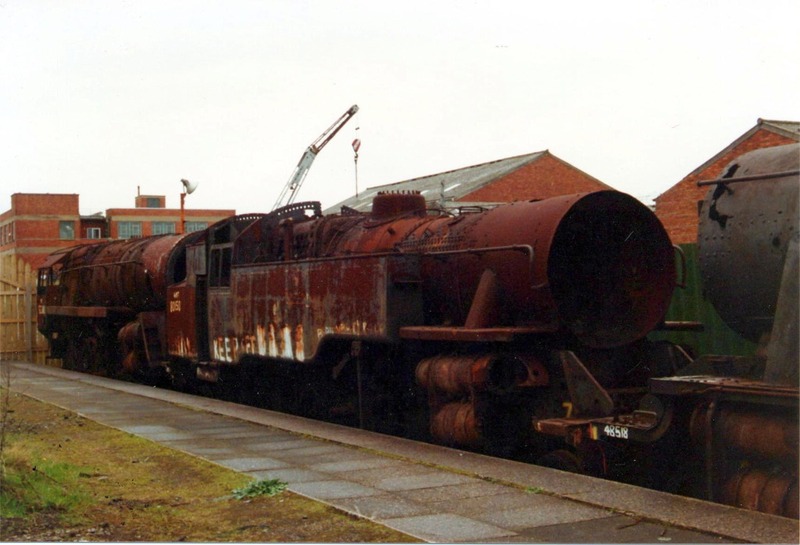 No.80150 was completed at Brighton Works in January 1957 & worked for only 8 years before being condemned in October 1965 due to the rapid dieselisation of BR.